We were all anxious to get to the beach! 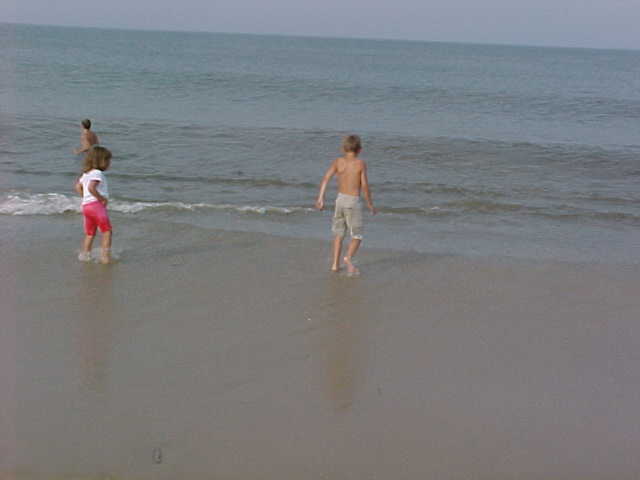 We waited all year for the day we got to the beach in Duck, North Carolina. It finally arrived! We were there....our little piece of heaven! We rented an 8 bedroom house with all the luxories that one could ever want. Jaquzzi, pool tables, video games, nice big kitchen with 2 stoves, 2 dishwashers....right on the beach! There were 21 people in all sharing a fun week together.